DP&S staff support digital scholarship through the integration and application of specific technologies such as GIS, video/audio production, and data visualization, among many others. Staff assist faculty in all stages of research, including forms of output that differ from conventional print publications. 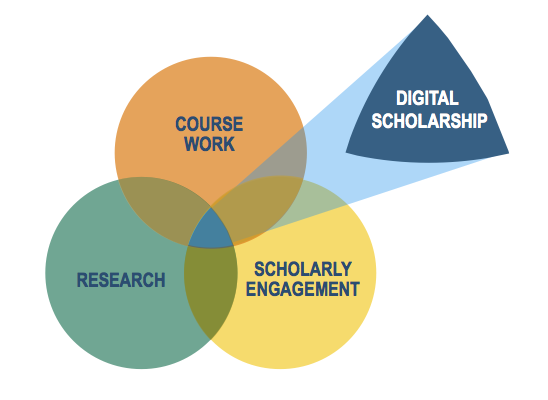 The Internet and digital technologies enable scholarly work to reach wider audiences than ever before; by supporting faculty in their use of these technologies, DP&S staff help make scholarship at Bucknell more open and accessible to all. One major initiative which has helped to set the pace for digital scholarship at Bucknell is the annual Digital Scholarship Conference, styled #BUDSC. DP&S staff, together with other members of Bucknell Library & IT, organize and participate in the conference, which draws participants from across the US annually.